The Dynabar XT V9 Sliding Spreader Bar is a very unique piece of gear to add to your harness. It replaces your standard spreader bar with one that slides from side to side. -- Please Select --Medium 11"
DYNABAR XT V9 is a further step forward of the most advanced spreader bar available on the market. Its features make it the best solution for all kitesurf disciplines. The XT V9 version has different options included in the package: Sliding Hook - Sliding hook fixed to frame - 1 dyneema slider - 1 55mm Belt Hook for 1 or 2 webbing. Other options can be added: Short sliding leash, Hook Knife, ProWave steel slider - FreeRide steel slider - Ball Bearing with rings. DYNABAR XT V9 11" weight is 700gr dry and 701gr wet thanks to the new "no water absorption" EVA thermoformed pad who has also a pocket with velcro to host a hook knife. Thanks to the new Webbing Adapter DYNABAR XT V9 is compatible with harnesses from all different brands and models. If you are not sure please submit your enquiry to our support department (click contact link above). buy it, try it and if you don't like it, return it within two weeks and we will refund in full (applys to UK sales only) We are that confident that after just a few sessions you will love these like we do! The package includes a few spare parts also. 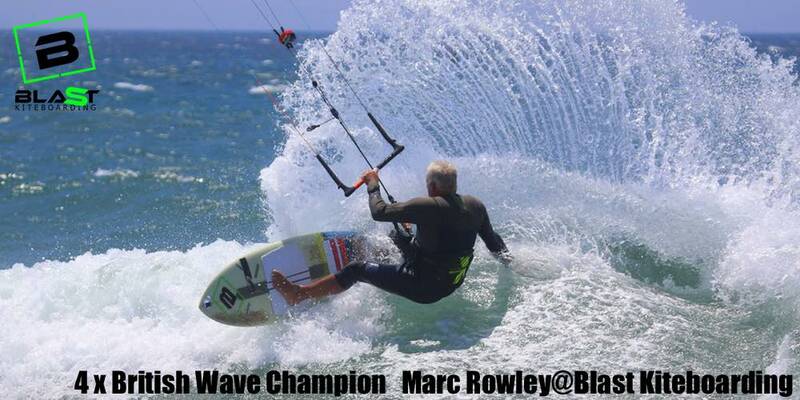 A few shots of Marc@Blast using the Dynabar and showing how it opens up your body to the pull of the kite! and toe side is so so much easier! Dynabar V9 XT Jaystore - Sliding Spreader Bar. Dynabar Sliding Kitesurfing Spreader bar simply a must for every kitesurfing wave rider, offering total freedom. money back guarantee if you don't love it! FREE UK DELIVERY! I would never go back to a fixed hook, ever. Because of a damaged back, during 25 years of windsurfing/wave sailing I always had to wear a seat harness and unhooked completely to surf waves. Gave up windsurfing and learned to kite surf last year but often found my back being yanked around on the water and when walking around with a kite. Put a Dynabar V8 XT on my ION seat harness and everything is now as smooth as butter - I just run the hook on the rope and it's perfect. I have run a small loop of 5mm Dyneema through the two central unused holes on the bar so that if the main rope breaks I at least have something to hook onto to get me back to terra firma. a must for waveriding, and ease of walking to the waters edge. I can't say how much I prefer this to a fixed spreader. It gives you so much more freedom of movement and lets you put more power into your board edge because you can shift your hips around and face the direction of travel. I use this for directional strapless and strapped and its great in the surf but I also like it on the twintip. I was dubious about boosting but you really don't notice it and you can twist your body in the boost to style out the move. Go up wind alot easier than before. When I first hooked in and had my kite launched for me, just walking to the water felt much easier and more natural with the sliding hook. My lovely hubby, Ian got me the the Dynabar XT for Christmas and for our New Years Day kite session I had the chance to use it for the first time. I loved it! Kiting equipment is so personal to people and what suits one kiter won't necessarily suit another, but I figured the Dynabar was definitely worth a mention and would say to anyone to give it a try. The Dynabar XT consists of the bar pad, spreader bar and sliding hook which replaces the current set up on your harness. The hook, attached to a roller slides along a rope which is attached to the spreader bar. A bungee is also fixed to the hook which helps to spring it back to the middle. It was easy enough to fit to my harness, an Ion Nova, but with my harness straps not having any hook attachment to clip on to the spreader bar, I have to rethink a QR for ease of getting into and out of the harness, but its not a major drawback. The only disappointment was losing my kite knife, as the pocket for this is built into my Ion bar pad, which I wasn't able to swap with the Dynabar pad as the harness hook is stitched into it. It's comforting to see that Ion have a well built product, but on the other hand replacing the bar to keep my Ion pad is not an option as it would mean ripping the pad apart. Both Marc and Sarah (Blast Kiteboarding) said that the Dynabar spreader bar would take some getting used to initially, but with all honesty I can say that it felt comfortable right away. When I first hooked in and had my kite launched for me, just walking to the water felt much easier and more natural with the sliding hook. The kite was pulling, but because the pull was from the side of my harness and not from the front, there was no need for the odd twisted walk I usually find myself doing. I knew at this point that I was going to like it. Even though I was out on my surfboard, which the Dynabar seems to be marketed at mostly, I felt that I would be just as happy using it with my twin tip. I do favour a goofy stance, but I made the conscious effort to ride both directions on my surfboard and found my new harness comfortable going both ways. I'm not so confident riding toeside on a regular stance, so was initially wary having the new addition to my harness, but was pleasantly surprised to find it much easier and it felt more natural compared to my usual harness set up, which I've always been happy with anyway. The significant difference is when riding toeside. The sliding hook enables you to have a more natural stance as there is no awkward twisting at the waist. I would also go as far as to say that it could help improve your stance just during general riding as you can't be lazy with it. For the sliding hook to work properly you do need to push those hips forward and not ride along like you're attached to an invisible chair! The hook has to be able to slide from side to side. I wasn't doing any rotations so can't comment on how the Dynabar feels then, but during jumps it felt fine and I'm looking forward to using it some more. This item has given me a new found freedom! I bought this simply to hep my riding as I have dodgy hips and often struggle after an hour or so, not any more. This has given me a new found freedom, even just walking on the beach is much easier. Cannot recommend this item enough! If you wave ride - don't think about just press BUY!